Notes: The Game Changer is an articulated streamer pattern designed by Blane Chocklett of Virginia. Blane is a fishing guide of over 20 years and owner of New Angle Fishing Company. 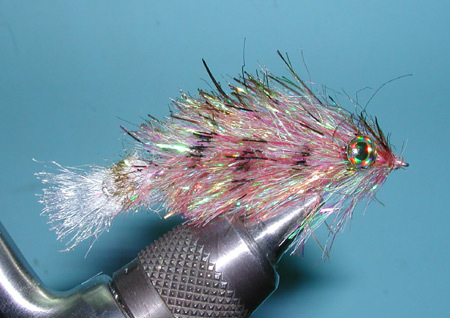 Blane is an innovative fly tier that has brought many new concepts and materials to the fly tying community. 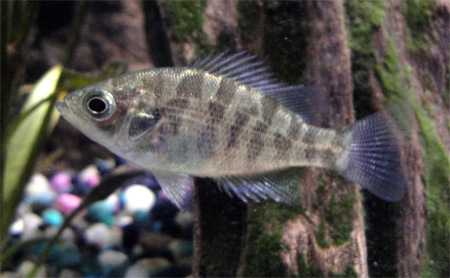 He is probably best known for the Gummy Minnow with the use of Siliskin that he also created. With the Game Changer, Blane collaborated with Flymen Fishing Company to develop the articulated wire spines that give his pattern very lifelike movement. His patterns are a crossover between swim bait lures and streamer flies. 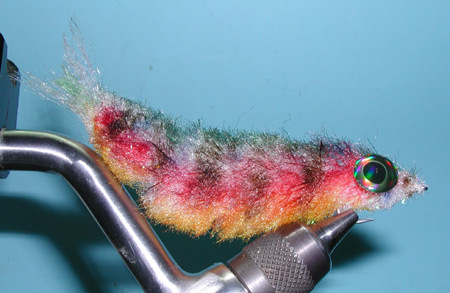 By using very lightweight materials, Blane is able to make this transition to fly rods and offer a type of pattern that provides a unique baitfish imitation. The Game Changer is constructed using a series of wire shanks of varying sizes. Usually, the Game Changer has four sizes of shanks (10mm, 15mm, 20mm, 25mm) as well as the hook. 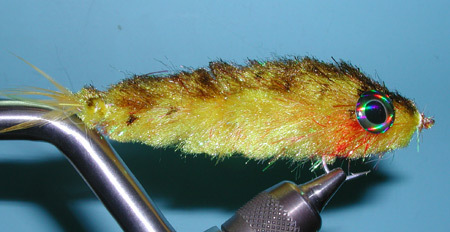 A tail is often attached to the smallest shank segment using any straight synthetic fibers or hackle fibers. The body can be constructed in many ways using materials such as Deer Hair, Marabou, or a synthetic material such as Minnow Wrap. A new material marketed by Hareline Dubbin called Chocklett's Body Wrap provides a nice material that is dense enough to hide the shank junctions. These materials can be trimmed to form the desired body shape. The material can be colored using Marking pens or an Air Brush system. Finally a high quality 3D eye is glued to the body material. Fish-Skull Living Eyes are recommended by Blane. The Game Changer streamer is excellent pattern for large Brown Trout that hide under cuts along streambanks. This is a good pattern for the East Walker and Owens River. The Game Changer can be used not only for large Sierran trout but also for Largemouth and Smallmouth Bass. 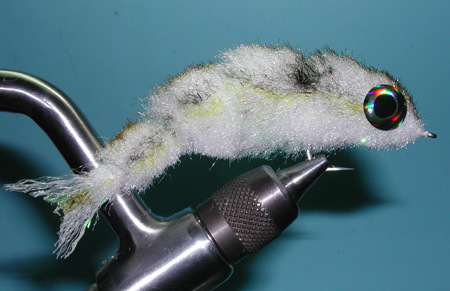 Blane uses this pattern extensively for Pike, Musky, and Stripers. Patterns using the Game Changer Articulated Shank Starter pack are about 5 inches in length.You will need to use a heavier fly rod of at least a 6wt to get the proper power to handle this fly. And, you will need to develop retrieval techniques using your rod tip as well as hand to get the proper action. With practice, you can get this pattern to dance, dart, and swim. Use the smaller segments to achieve a smaller size Game Changer. Two 10mm and a 15mm segment with a TMC 8089 #6 will produce a nice 2 inch size streamer that can be tossed by a 4 wt rod. 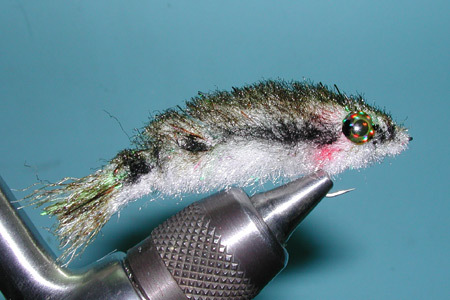 Try a Sacramento Perch pattern on Crowley Lake or the minnow pattern on most small streams.